WRHS Class of '67--- the Cream of the Crop! Our Class was amazing! While at WRHS we won State or League Championships for football, gymnastics, cross country, track & field, and baseball; we set League records in track & field; we earned individual Conference and State honors in football, tennis, wrestling, cross country, track & field, and gymnastics; we were science fair winners, JeffCo’s “Junior Miss,” and the “Gold Helmet” winner; we sent more musicians to All-State Band and All-State Orchestra than any other Colorado high school; we attended national science, math and engineering competitions; we won KIMN's Best School contest; we had 21 National Merit Semi-Finalists and 5 Finalists, and we earned hundreds of scholarships, prizes, and awards. Now, fifty years later, we are celebrating our Remarkable Class! Donations of Any Size are Appreciated ! Your generosity will support decorations, prizes, photography, equipment rental, printing, and miscellaneous expenses for producing our 50th Reunion. You can also make a donation in Honor of a favorite teacher or in Memory of a classmate. All sponsors and donors will be honored right here on our Class'67 Website, and we'll recognize you in the 50th Reunion printed program! Remaining anonymous is, of course, an option. Please see the "Thank You" page to see who has already donated. 1. Pay with a credit card right now. See the form below. 2. Send us a check, payable to WRHS Class of 1967 Reunion, to PO Box 18583, Boulder, CO 80308. 3. Contact Kent Ingram, Reunion Committee Fundraising Leader, at kdllingram@centurylink.net or 303-933-9987. 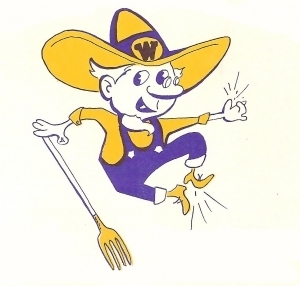 Please note: All monies collected support the Wheat Ridge High School Class'67 Reunions, and everyone on the Reunion Committee is an unpaid volunteer. for this transaction from MyEvent.com*wrhs1967.org.